Fashion designing features a little mini-game as well. After tapping the exclamation mark, a new balloon will appear and starts rolling light bulbs and bombs. You'll need three light bulbs to complete the design. Each tapped light bulb can give you XP, §, or LP. Warning: tapping three bombs will give you nothing! For example; tapping two light bulbs, then two bombs, then a light bulb, will result in rewards for each light bulb and a completion of the design (for the collection). Tapping a light bulb, a bomb, a light bulb, and then two bombs will make the sim fail his/her design (= finished with three bombs first). The finished design is a collectable 'card' like with every other hobby. You do NOT get clothes or items in your inventory. 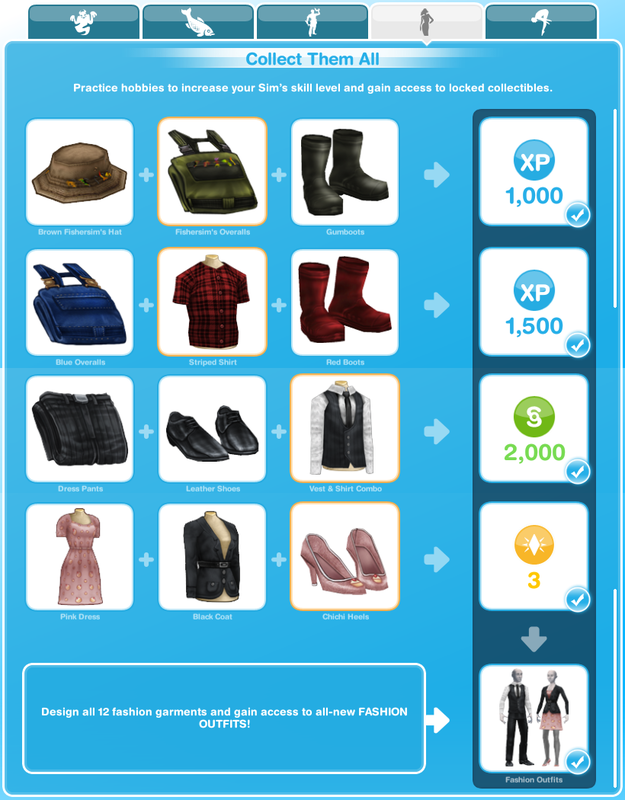 You can unlock "Fashion Outfits", then the "Lucky Hat", but these are not applied to your sim, you will have to look for them in the 'Create-A-Sim'. 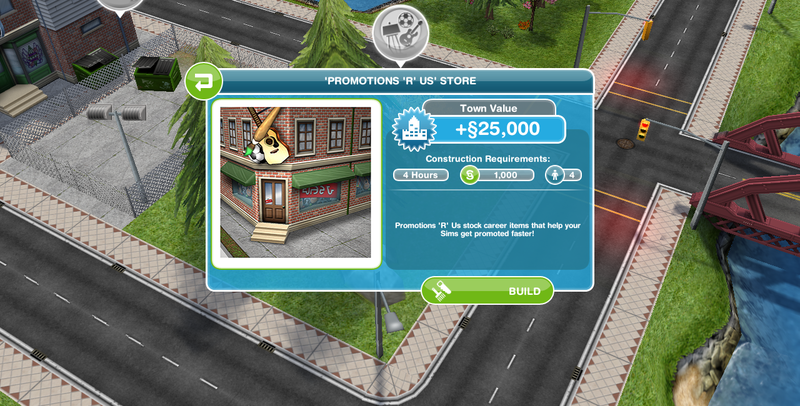 Please note: items already collected will NOT yield the rewards again, if filled in on the collectibles grid already. The first time completing all the collectibles for fashion design unlocks "Fashion Outfit". The second time completing the collection unlocks the "Lucky Hat". The third and further unlocking gives you 3 LPs. Conclusion: Fashion Design is for fun and profits. (XPs, LP or §s with each light bulb).